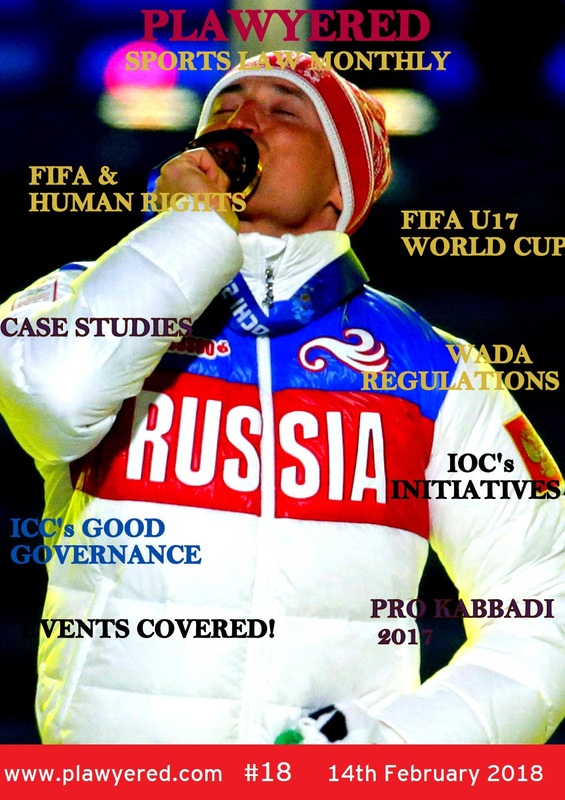 The Court of Arbitration for Sport (CAS) has issued its decision in the arbitration procedure between the Finnish footballer Roman Eremenko and the Union of European Football Associations (UEFA). The two-year suspension imposed on the player by the UEFA Appeals Body (UEFA AB) on 2 March 2017 is confirmed. Furthermore, the CAS Panel has fixed the start date of the suspension at 6 October 2016, the date on which the Player’s provisional suspension commenced. used by the UEFA CEDB “from participating in any football-related activity” did not feature in the applicable anti-doping rules. Roman Eremenko filed an appeal at the CAS on 13 April 2017 seeking to overturn the suspension. The arbitration was referred to a Panel of CAS arbitrators who held a hearing with the parties in Lausanne, Switzerland on 11 July 2017. The CAS Panel found that a two-year period of ineligibility was the appropriate sanction and since the UEFA AB decision did not specify the date of commencement of the suspension, found it proper to clarify the point and modify the UEFA AB decision accordingly, in order to confirm that the Player is suspended for a period of 2 years from 6 October 2016.